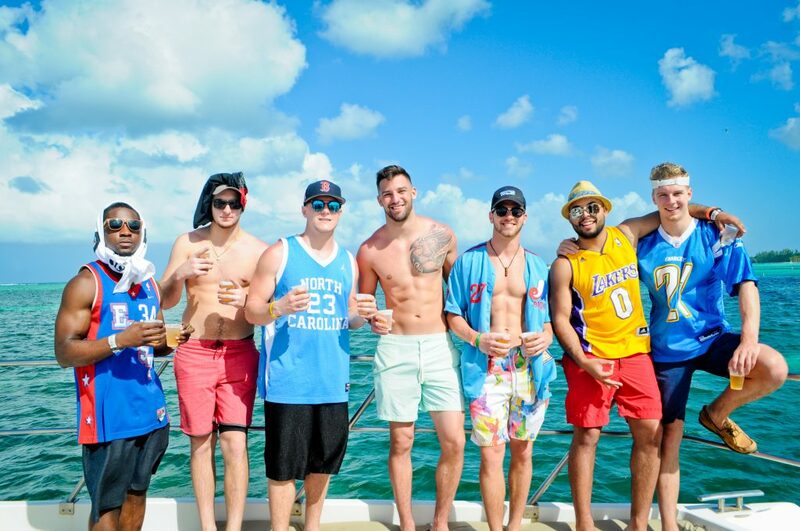 One of our favorite parts of our Spring Break VIP Party Package is the Booze Cruise! Each Locations is a little different, making them unique and packed full of fun. 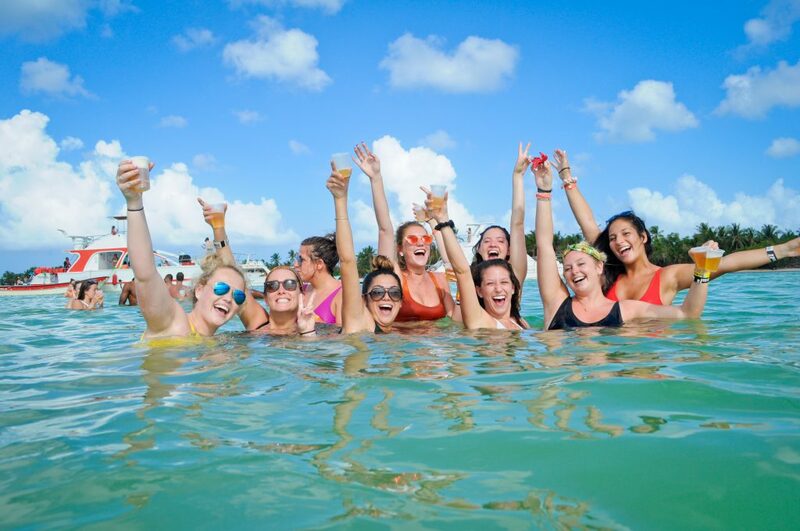 We offer the Booze Cruise in Punta Cana, Cancun, Cabo, and Ft. Lauderdale! 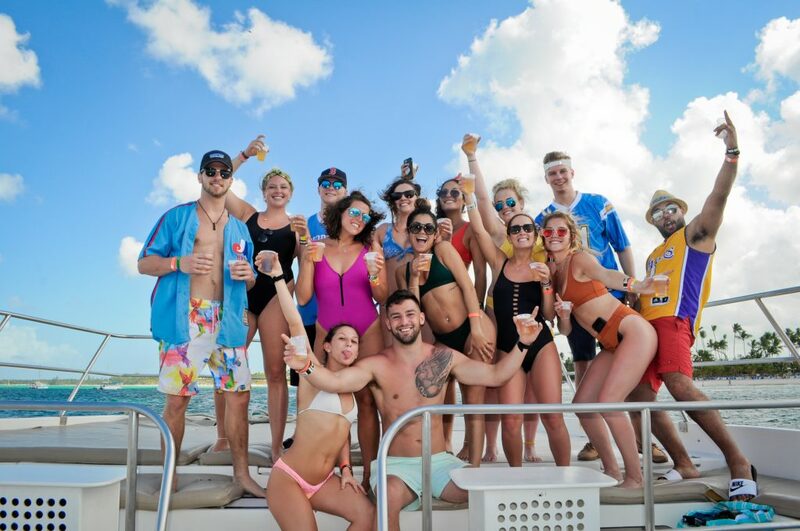 The Booze Cruise takes you off the resort floating over gorgeous clear blue waters with drinks flowing and a DJ on board to ensure the best tunes possible! 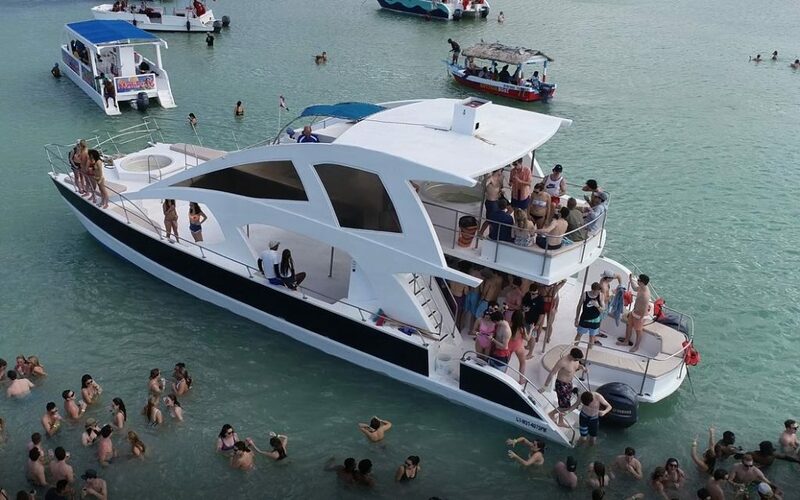 What’s great is the boat doesn’t just drive you around, they will actually anchor out in the shallow waters, let you go swimming and drink in chest deep waters and even raft up with others partying out at sea. The VIP Package includes this as part of the package but you can purchase it separately if you’d like! Contact our office for pricing!